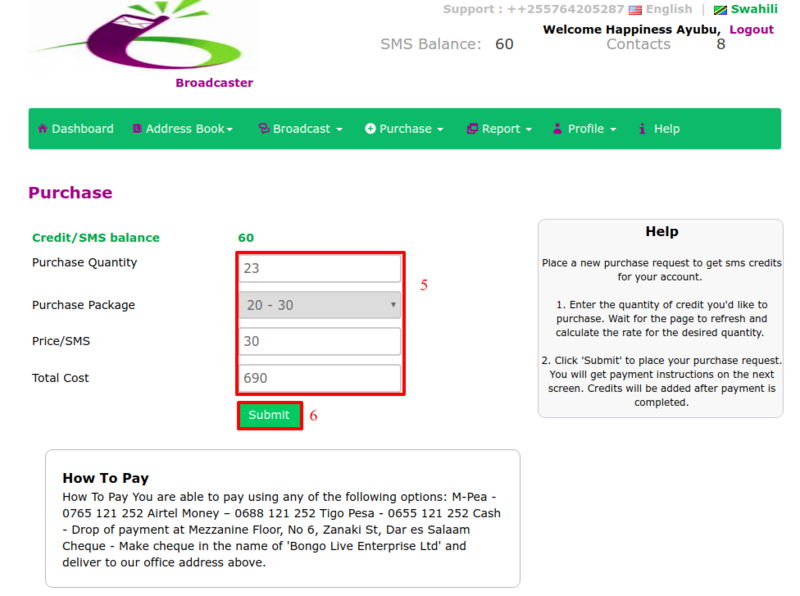 Place a new purchase request to get sms credits for your account by following the steps below. To send a purchase request Click "Purchase from the main menu as shows. 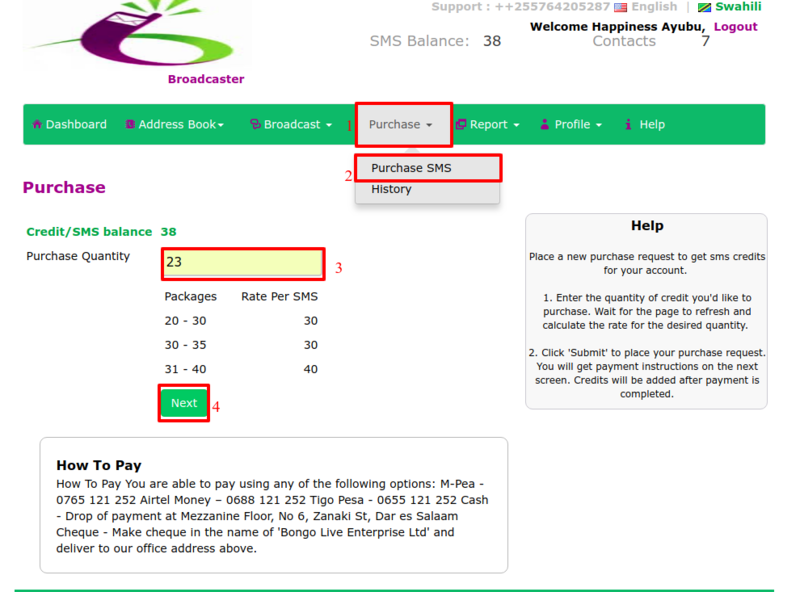 Select "Purchase SMS" from the drop down menu. Fill the SMS quantity of credit you'd like to purchase. Click "Next" when done. and preview your purchase request. Click 'Submit' to place your purchase request. You will get payment instructions. Credits will be added after payment is completed.